Is it Wise to Specialize | White Plains Lacrosse Association Inc. The greatest difference between our children’s sporting experience and our own is the rise of year round, sport specific organizations that ask – even require – season after season of participation in order to stay in the player development pipeline. The pressure to have your child specialize in a single sport at a young age has never been stronger. When I tell them what the science says to wait, many tell me “That’s not possible. If my child does not specialize early she will be left out, not make the travel or high school team, and have no chance of playing in college. You live in a fantasy world.” They tell me about coaches who have told them they need 10,000 hours of organized, structured practice, and their fear that other kids will be getting a leg up on theirs if they do not specialize. They are stuck in a downward spiral that is detrimental to their children, but feel helpless to change course. This fear has forced kids into sports that often are not of their own choosing, and in many cases compels them to remain in activities that are not enjoyable, not intrinsically motivating, nor are congruent with their actual athletic abilities. This path fails to consider many of the physical, emotional and social costs to children who only play a single sport. There is a different path. It is the one based in science, psychology and best practices of athletic development. It is one that serves the needs of children for a lifetime, reduces injuries and burnout, increases enjoyment and motivation, and produces better athletes. Sound appealing? It is the path of multiple sport participation and less structured play. But don’t take my word for it. Below are some eye popping facts and statistics that should make every parent think twice about early sport specialization in sports like football, soccer, baseball, hockey and basketball, where athletes peak in their 20’s. (sources at the end of the article). A study by OhioStateUniversity found that children who specialized early in a single sport led to higher rates of adult physical inactivity. Those who commit to one sport at a young age are often the first to quit, and suffer a lifetime of consequences. In a study of 1200 youth athletes, Dr Neeru Jayanthi of LoyolaUniversity found that early specialization in a single sport is one of the strongest predictors of injury. Athletes in the study who specialized were 70% to 93% more likely to be injured than children who played multiple sports! Better Overall Skills and Ability: Research shows that early participation in multiple sports leads to better overall motor and athletic development, longer playing careers, increased ability to transfer sports skills other sports and increased motivation, ownership of the sports experience, and confidence. Smarter, More Creative Players: Multi-sport participation at the youngest ages yields better decision making and pattern recognition, as well as increased creativity. These are all qualities that coaches of high level teams look for. 10,000 Hours is not a Rule: In his survey of the scientific literature regarding sport specific practice in The Sports Gene, author David Epstein finds that most elite competitors require far less than 10,000 hours of deliberate practice. Specifically, studies have shown that basketball (4000), field hockey (4000) and wrestling (6000) all require far less than 10,000 hours. Even Anders Ericsson, the researcher credited with discovering the 10,000 hour rule, says the misrepresentation of his work, popularized by Malcolm Gladwell in Outliers, ignores many of the elements that go into high-performance (genetics, coaching, opportunity, luck) and focuses on only one, deliberate practice. That, he says, is wrong. Free Play Equals More Play: Early specialization ignores the importance of deliberate play/free play. Researches found that activities which are intrinsically motivating, maximize fun and provide enjoyment are incredibly important. These are termed deliberate play (as opposed to deliberate practice, which are activities motivated by the goal of performance enhancement and not enjoyment). Deliberate play increases motor skills, emotional ability, and creativity. Children allowed deliberate play also tend spend more time engaged in a sport than athletes in structured training with a coach. There are Many Paths to Mastery: A 2003 study on professional ice hockey players found that while most pros had spent 10,000 hours or more involved in sports prior to age 20, only 3000 of those hours were involved in hockey specific deliberate practice (and only 450 of those hours were prior to age 12). 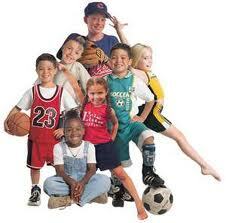 Prior to age 12: 80% of time should be spent in deliberate play and in sports OTHER THAN the chosen sport! Age 16+: Even when specialization becomes very important, 20% of training time should still be in the non-specialized sport and deliberate play. How Do You Approach People with this Information? Every adult involved in youth sports will come up against people who advocate for single sport specialization. Some think their child is the next Tiger Woods, the next Venus Williams, the next Lionel Messi, so they are getting in their 10,000 hours. Others are afraid to go against the grain, and fear that they are disadvantaging their own child by not specializing. Hogwash! I meet these folks too, and I blind them with the science. I then ask for the data and research that supports their theory. Cue the cricket noises, because it does not exist. If you know these folks, send this to them. Post it on Facebook. Send it to your club director and your coach who thinks you should skip grandma’s 90th birthday because your U11 team has your fourth tournament of the summer that weekend (this is an actual call I took by the way). Of course, this will not work all the time, or even most of the time. Visit your local airport smoking lounge to see the effect an abundance of science on the hazards of smoking has on many folks. But who cares, present it anyway! At some point, parents need to ask themselves “Are we ready for a better alternative?” Does my 10 year old really need to keep playing 11.5 months of soccer a year in order to have a chance of success? Am I really doing him a disservice by making him play multiple sports, and trying to help him find one he is passionate about? I think we are ready for an alternative. I think people are sick of 11 straight months of 6am trips to the hockey rink, and weekend after weekend of expensive out of town soccer tournaments for “elite” 11 year olds. I know I am not alone in thinking this. The best sport psychology is on our side. The best research into athletic development and physiology is on our side. The top minds in sports medicine are on our side. Aligned against us are a few people who stand to profit from promoting the mythology surrounding single sport specialization. Not scientists. Not researchers. Not top coaching minds. Profiteers, often backed by parents and coaches living out their own unfulfilled sports dreams through the children.